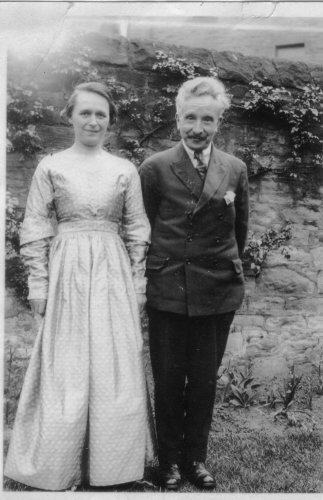 Edith Wibley and Alfred DOXEY (the author's Gfather) at Matlock. Edith is wearing a silk wedding dress made in 1830 by Mary Howe for her wedding, and is still in the possession of May Walker of Sheffield. Mary Howe was the author's GGGGMother and married John Howe at Ashford in the Water.